BlackBerry last September announced intentions to cease internal development of its smartphones and instead focus on its software and services businesses. In lieu of ditching the handset business entirely, BlackBerry last month signed a long-term deal with Chinese firm TCL that would see them design, build and sell BlackBerry-branded mobile devices. 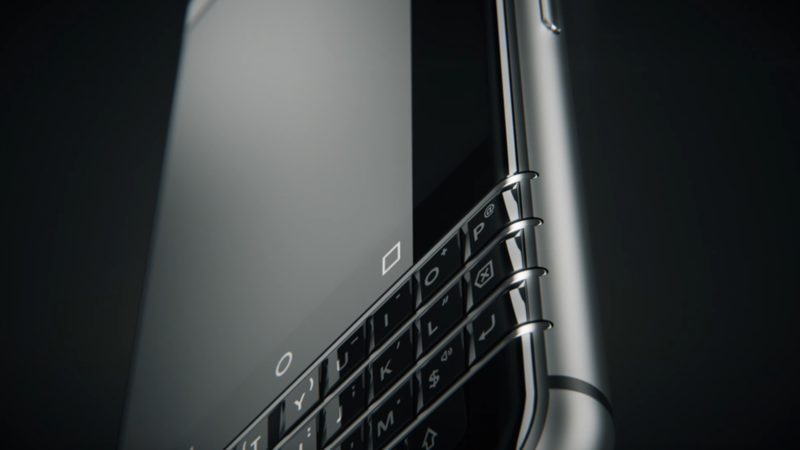 At CES 2017, TCL teased its first true BlackBerry device, codenamed Mercury. Details are somewhat scarce at this hour but here’s what we do know. The upcoming handset sports a physical keyboard, a feature that BlackBerry simply refuses to relinquish despite the fact that the entire smartphone industry has long since moved on to onscreen keyboards. With the keyboard comes a fingerprint sensor built into the space bar and like the Passport before it, the keyboard itself is touch-enabled meaning you can swipe it to scroll, flick to type and so on. The Verge notes that the metal and rubber exterior has a “pleasantly substantial” heft to it. The device will run Android 7.0 Nougat with additional security and business-focused software mixed in courtesy of BlackBerry (the company). There’s also a USB Type-C port for charging. That said, we still don’t know what it’ll officially be called, how large the screen will be, what hardware is under the hood, camera specs, battery life, release date and critically, its price. TCL did say, however, that it’ll provide more information at Mobile World Congress in late February.